After graduating from Memorial High School in Tulsa, Oklahoma, Justin relocated to Providence, Rhode Island to attend Brown University. Justin received his undergraduate degree from Brown in 2002, double concentrating in economics and political science. 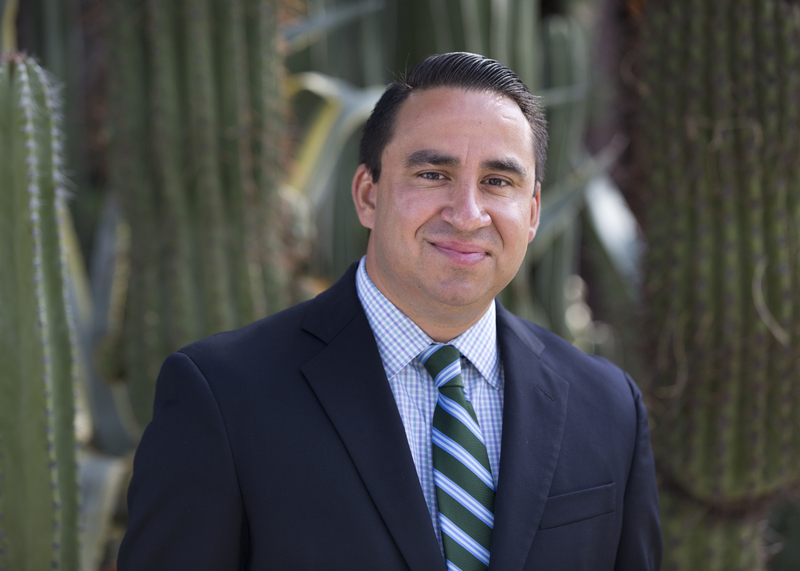 Opting for a change of scenery, he matriculated to Tucson, where he graduated from the University of Arizona James E. Rogers College of Law in 2005. Justin practices primarily in the areas of business, real estate, construction, commercial litigation, and personal injury. Preparation of commercial contracts and purchase agreements. Representation of licensed professionals in State of Arizona administrative disputes. Advising clients on foreclosures, short sales, and anti-deficiency liability. Commercial and residential real estate landlord/tenant disputes. Easement, title, and boundary disputes. Preparation and review of all residential and commercial purchase and lease documents. Advising clients on disclosure disputes arising out of residential and commercial real estate transactions. Registrar of Contractor’s and Recovery Fund matters. Homeowner v. Contractor workmanship and payment disputes. Assist clients in State and Municipal Courts. Justin’s personal injury practice involves the representation of injured parties. Justin also assists clients in obtaining, enforcing, and defending Injunctions Against Harassment and Orders of Protection. 2015 Southwest Super Lawyer Rising Star. Pima County Bar Association Board of Directors 2014-Present. Serve as a Judge Pro Tempore in settlement conferences 2015-Present. St. Vincent De Paul President (2008-2015); Vice-President (2016-Present). Tucson Hispanic Chamber of Commerce’s 2008-Present. The Brown Club of Southern Arizona, where he serves as Treasurer. The Ins and Outs of Arizona’s Statutory Protections Against Harassment, presented April 20, 2016, to the Pima County Bar Association, Tucson, Arizona. Avoiding the Money Pit: Issues in the Duty to Disclose in Real Property Transactions, presented November 4, 2014, to the Pima County Bar Association, Tucson, Arizona. A Brief History Of The Commerce Clause, presented June 21, 2012, to NALS of Tucson, Tucson, Arizona. The Roadmap To Obtaining A Deficiency Judgment, presented June 19, 2012 at the 3rd Annual National Buying & Selling Distressed Mortgage Portfolios Forum, New York, New York. Inspecting The Fine Print: Ensuring The Inspector’s Contract Is Up To Code, presented August 11, 2011, to the Southern Arizona chapter of the American Society of Home Inspectors, Tucson, Arizona. Navigating the Road To The Recovery Fund, presented March 18, 2010 to the Pima County Bar Association, Young Lawyer’s Division, Tucson, Arizona. The State Of The States: A Brief Discussion Of States As Constitutionally Recognized Actors, presented June 16, 2009, to NALS of Tucson, Tucson, Arizona.